Harambe was selfless. Harambe was harmless. Harambe was still shot for no reason. 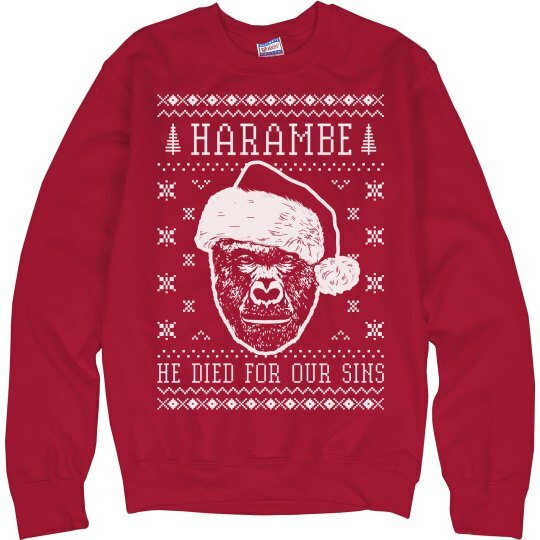 This ugly Christmas sweater lets us remember Harambe how we all knew and loved him. In a Santa hat, and happy.